Chanteur Rockabilly US né Henry Davis en 1941 à Dry Heave (Arkanasa). 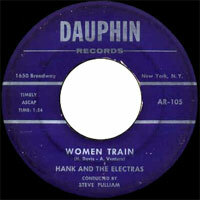 Excellent Vocalsiste à la voix puissante et timbrée, Hank Davis a enregistré durant les années soixante une poignée de singles pour Wizz, Dauphin et Stacy Records, dans lesquels il prouvait en outre une aptitude certaine à pratiquer la guitare électrique. Peu connu, malgré ses dons de Vocalsiste, musicien et compositeur, Hank Davis a pourtant enregistré jusqu'en 1978. 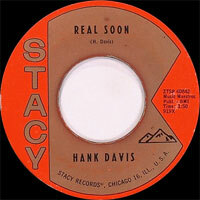 Arkansas-born guitarist/Vocalsist Hank Davis experienced several musical transformations during his lengthy career. 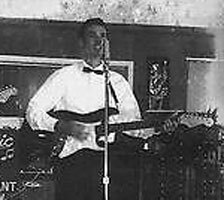 Inspired by the early recordings of Elvis Presley, he recorded numerous unreleased demos during the 1960s. Performing with two black ministers as the Blues Brothers (long before another outfit with that name was made famous by Dan Aykroyd and John Belushi), he focused on blues and gospel music. He then moved to Canada in the early '70s, re-emerging as a country singer. At his small studio in his home in southern Ontario, Davis and steel guitarist Winnie Winston recorded more than enough to release eight albums, including two instrumental sessions that the pair credited to Raunch Radley. A native of Dry Heave, AR, a small town about 120 miles from Little Rock, Davis was taught to play the guitar by his uncle, "Shagpoke" Davis, at the age of 12. 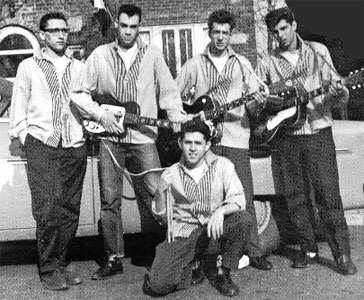 Performing at the Dixie Bar 'n' Grill in Dry Heave in 1955, he and his band auditioned for Sun Records in Memphis the following year. When he discovered, two years later, that the label had lost the tapes, he got drunk and accidentally boarded a bus to Montreal. Remaining in the Canadian city, he became a regular performer at Le Mangeur de Merde and recorded his first singles for Disques Frogges. 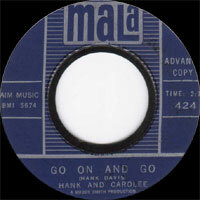 Still in high school when the singles were released, he appeared on Alan Freed's television show. 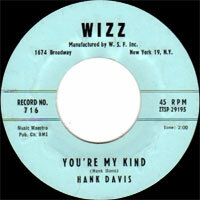 While in New York City, Davis spent most of his time backstage at the Paramount Theater and the record company offices in the Brill Building. After recording several more demos, he left New York to attend graduate school in Boston. Arriving in Boston during the height of the folk explosion, he formed the Blues Brothers. In addition to recording two albums, the trio toured throughout the Southeast. Deciding to move permanently to Canada, Davis settled in northern Ontario in the early '70s. He toured England in the late '70s.